On September 6th, the Russia tour group of the NCPA opera commission The Dawns Here Are Quiet arrived at Moscow, and held a press conference. 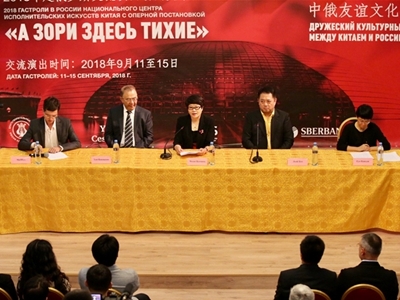 A press conference is held in Moscow. 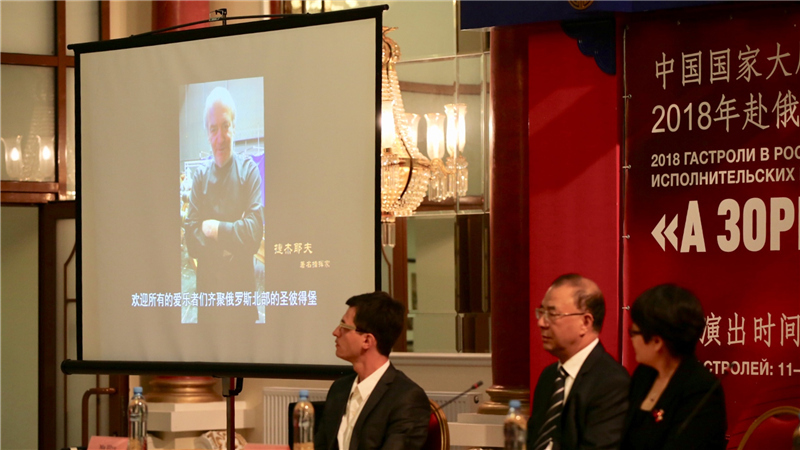 The conference was attended by NCPA Vice President ZHAO Jiachen, who addressed a speech, as well as other guests including LÜ Jia, Artistic Director of Music of NCPA, TANG Jianping, composer of the opera, cast singers ZHANG Yang and XU Xiaoying, and bayang artist RUAN Mingyuan. They introduced highlights of the opera, and their connection to Russian culture. Maestro Valery Gergiev sends his greetings. 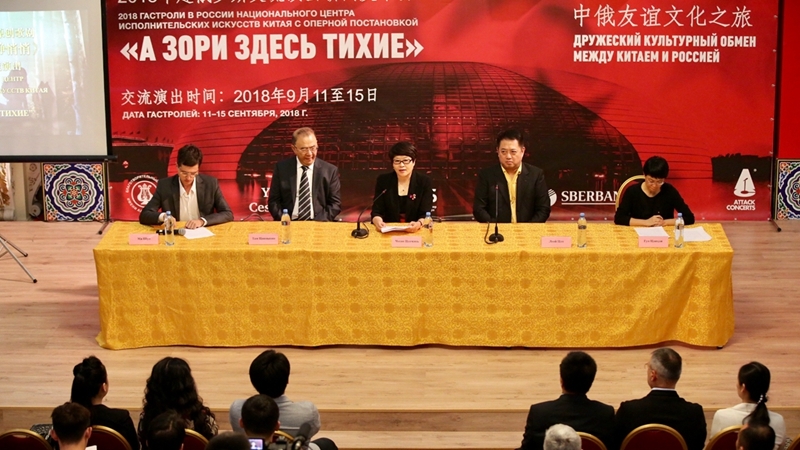 At the press conference, artists ZHANG Yang, XU Xiaoying and RUAN Mingyuan staged opera excerpts, which won high acclaim from the media attendees. The NCPA opera commission The Dawns Here Are Quiet Russia tour also attracted attention from Russian media, including TACC, Russia Today and Rossiyskaya Gazeta. XU Xiaoying stages opera excerpts at the press conference. 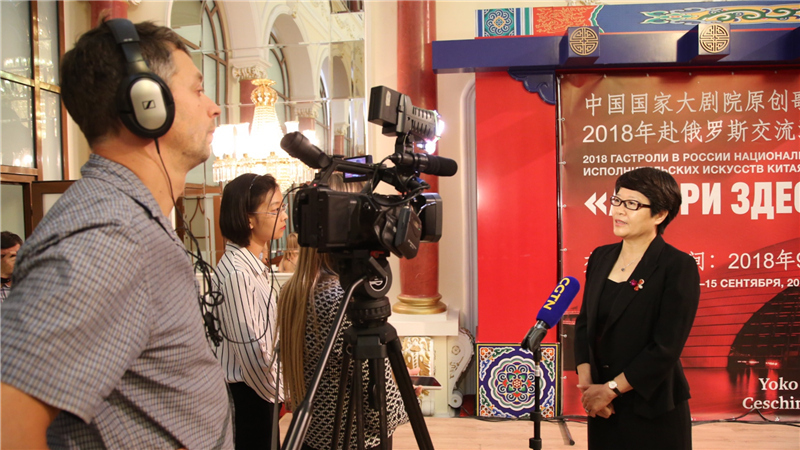 After the conference, a reporter from TACC commented, “The Dawns Here Are Quiet is very popular in Russia. Before the press conference, I was curious about how the Chinese artists would present this opera. 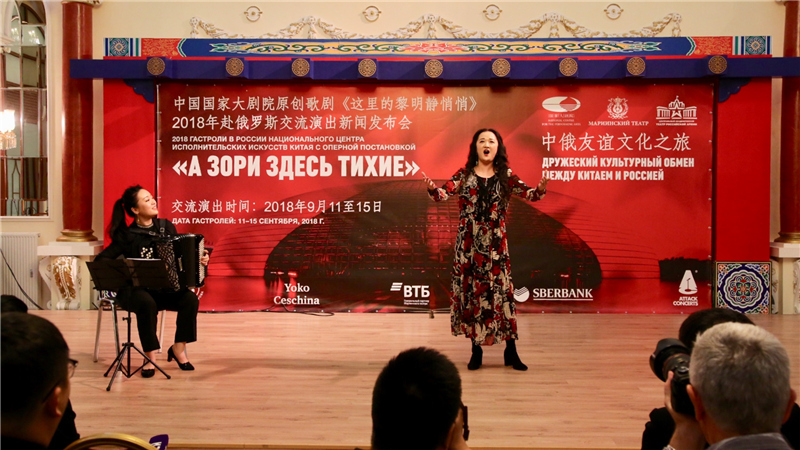 When I saw their performance, which blended the familiar melody very well with Chinese style, I think this opera will be embraced by the Russia audience”. NCPA Vice President ZHAO Jiachen receives an interview.